This Privacy Statement outlines what personal information is collected and why as well as how we use your information to provide you with a personalized, relevant, user-friendly experience on the Websites and other websites and mobile applications that we operate worldwide and which link directly to this Privacy Statement. This Privacy Statement applies to visitors and new users registering on the Website on or after August 1, 2014 and to all users already registered or subscribing to the Website on or after September 1, 2014. For the previous version of the Privacy Statement click here. Ancestry's mission is to help everyone discover, preserve and share their family history. We accomplish this by using the resources available on our various websites and also through collaborating with our extensive number of users around the world. This involves the collecting, processing, storing and sharing of personal and non-personal information. We are committed to ensuring that this is done in a responsible, transparent and secure environment that fosters your trust and confidence. As part of our commitment to you, we have developed this Privacy Statement to describe how we gather and use the information we receive from you on Ancestry.com, Fold3.com and Newspapers.com (hereafter, the "Websites"). Please review the information below to familiarize yourself with our policies. You should visit our Privacy Center to learn more about our approach on privacy. By using the Websites you consent to the collection, processing, use, storage, transfer and disclosure of your personal information by Ancestry.com Operations Inc. (the company that owns and operates the Websites, either directly or through its affiliated companies), its group companies ("Group Companies"), contracted third parties and agents (collectively "Ancestry," "we", "us" or "our") in accordance with this Privacy Statement. As a reminder, by registering with any of the Websites you are becoming part of the "Ancestry Community" a collaborative resource in which the users of the Websites ("Users") and other websites and platforms owned or operated by Ancestry and its Group Companies (including such sites as ancestry.com, ancestry.co.uk, ancestry.com.au, archives.com, ancestry.ca, findagrave.com) can communicate and exchange family history related information with each other. Please be aware that some sites may have some additional specific policies or different functionality and you should read and / or understand these before using the relevant services. Ancestry.com Operations Inc. has been awarded TRUSTe's Privacy Seal signifying that this privacy statement, our practices, and the Websites have been reviewed for compliance with the TRUSTe program viewable here or on the validation page available by clicking the TRUSTe seal. TRUSTe's program does not cover information that may be collected through any downloadable software that may be available on our Websites or from third party sites, which are covered by their own privacy statements, which you should review. If you have questions or complaints regarding our privacy statement or practices, please contact us via the information below. If you have an unresolved privacy or data use concern that we have not addressed satisfactorily, please contact TRUSTe here. Ancestry also complies with the U.S. - E.U. and U.S. - Swiss Safe Harbor Framework as set forth by the U.S. Department of Commerce regarding the collection, use and retention of personal data from European Union member countries and Switzerland. Ancestry has certified that it adheres to the Safe Harbor Privacy Principles of notice, choice, onward transfer, security, data integrity, access, and enforcement. To learn more about the Safe Harbor program, and to view Ancestry's certification, please visit http://www.export.gov/safeharbor. With respect to processors outside Europe, we attempt to ensure adequate safeguards for your personal information, as required by applicable law and endeavor to confirm that they have adopted, are subject to, or are contractually obligated to comply with the principles and objectives of this Privacy Statement. Will Ancestry disclose any of your personal information to third parties? What about non-personal information, mobile data, "cookies" and social media features? II) YOUR BACKGROUND AND INTERESTS: As a user of the Websites, you can choose to share certain information about yourself, such as your age, gender, background and interests with other users, such as in your user profile. The amount and type of information you share in this way is entirely your choice. Information about some of your activity on the Website, such as historical records you save, may also be shared with other users in order to help you connect with others performing similar research. The information that you input about yourself on the Websites may result in the creation of a profile about you. You have some control over your profile, such as whether other users can search for or contact you, on your Account page. See Managing your privacy settings below for more information on how you can edit or control what you allow other users to see about you and your activity on the Websites. III) YOUR FAMILY AND OTHERS: You may also post personal information about yourself and others in the course of doing research on our Websites, e.g., adding a photo, adding information about a historical person, or sharing a photo with another user through our Services. You should obtain the consent from the living persons about which you want to post personal information on the Websites, or, if the person is under the age of 18, the consent of their parent or guardian. Similarly, others may post personal information about you in the course of conducting research on our Websites. IV) YOUR OPINIONS AND COMMENTS: If you participate in community discussions, chats, communications with us or between you and other users, in disputes and while communicating with member services, Ancestry will capture that information. You should be aware that any information you provide in these areas may be read, collected, and used by others who access them. To request removal of your personal information from our blog or community forum, contact us by the contact information below and we will consider it for removal. Any personal information, that personal information you provide us or that we otherwise collect may be transferred to and stored and processed in other countries which may provide a different level of protection for personal data than in your country of residence. By allowing us to collect personal information, you specifically consent to the transfer, storage, and processing of that personal information. Please be aware that any personal information you elect to post on our Websites may be made available elsewhere within the Ancestry Community and may be visible to both registered and non-registered users of the Websites. I) TO PROVIDE THE SERVICE: We primarily use your personal information to provide you with relevant information such as appropriate search results, information about content releases and product updates, or informational updates that you have requested through the Websites, or to address customer service needs and requests. Ancestry may also use personal information to let you know about new features, other users' activity on the Websites, or other offers of interest from Ancestry. We also use your data to fulfill the purposes for which you have provided the personal information, such as processing your subscription. See Managing your privacy settings below to learn how you can opt out or change your settings. II) VERIFICATION: We will use your personal information to verify your identity so that you can carry out transactions through the Websites, such as changing your account information, retrieving a forgotten username or password, or completing financial transactions relating to payments you make online. IV) TO COMMUNICATE WITH YOU: Ancestry may communicate with you for the purpose of informing you of issues with your membership or changes to Ancestry or of any Ancestry-related products and services. Our communications with you will generally be via email, but may be made via telephone, direct mail or another method of communication in select circumstances. You may also receive promotional offers from Ancestry or other third parties trusted by Ancestry. If you do not want to continue to receive promotional emails, you may opt out at any time by using the unsubscribe link listed in the email or see Managing your privacy settings below to learn how you can opt out or change your settings. If you wish to opt out of other methods of communication, please contact us by the contact information below. V) TO DISTRIBUTE ADVERTISEMENTS: Ancestry strives to show you relevant advertisements. To that end, we use the information you provide to us, aggregated demographic information (such as women between the ages of 45-60), anonymized data compared to data from third parties, or the placement of cookies and other tracking technologies (as discussed in more detail below). In these ways, Ancestry can display relevant ads to appropriate users either on our Websites or on third party websites. We do not provide advertisers with access to your individual account information. Ancestry does not sell, rent or otherwise distribute the personal information you provide us to these advertisers unless you have given us your consent to do so. 3. WILL ANCESTRY DISCLOSE ANY OF YOUR PERSONAL INFORMATION TO THIRD PARTIES? I) IN THESE SCENARIOS: Examples of the limited scenarios where Ancestry may disclose personal information to third parties are: (a) with your knowledge and consent; (b) as described in this Privacy Statement; (c) as may be required or permitted by law, regulatory authorities, legal process or to protect the rights, property, safety, confidentiality, or reputation of Ancestry, its Group Companies, or other Users (including outside your country of residence); (d) to enforce our terms and conditions; (e) to prevent fraud or cybercrime; or (f) to permit us to pursue available remedies or limit the damages that we may sustain. II) TO GROUP COMPANIES: We may share personal information with our Group Companies so that they may use personal information for the purposes described in this Privacy Statement. Ancestry is responsible for the management of the jointly-used personal information. The Group Companies are subject to similar privacy statements. Additionally, as our business continues to grow and change, we might restructure, buy, or sell subsidiaries or business units. In these transactions, customer information is often one of the transferred assets, remaining subject to promises made in then prevailing privacy statements. Also, in the event that Ancestry, or substantially all of its assets or stock are acquired, transferred, disposed of (in whole or part and including in connection with any bankruptcy or similar proceedings), personal information will as a matter of course be one of the transferred assets. III) THIRD-PARTY SERVICE PROVIDERS: Under the protection of appropriate agreements, we may disclose personal information to third party service providers we use to perform various tasks for us including for the purposes of data storage, consolidation, retrieval, analysis, or other processing, as well as effective management of customer information and to help us communicate with you. For example, we use third parties to process payments from you and to help manage our Websites and relationships with you. These third-parties are only given access to that information needed to perform their support functions, and are prohibited from using it for other purposes. These third parties include affiliated and unaffiliated service providers in in the United States, Europe and in other jurisdictions. To manage your privacy settings on Ancestry.com, please click here. Also, to learn how to manage the privacy settings for any family trees you have created on Ancestry.com, please click here. Ancestry will maintain procedures consistent with applicable law for individuals to gain access to their collected personal information and, when appropriate, correct or delete their personal information. III) THIRD PARTY CONTENT. Ancestry also permits its Users to post documents, to annotate historical records and to post commentary related to historical documents. Although we prohibit Users from posting content that violates the privacy rights of others, Ancestry does not edit or approve User Provided Content. It is possible that another User will post your private information. V) CONCERNS? If you have concerns or issues about your personal information that is contained on the Websites, including if you believe that a document published by Ancestry violates your privacy rights, that a User has posted personal information about you that violates your rights, or an unauthorized profile of you has been created, please contact us via the information below and we will attempt to resolve the matter quickly. For your protection, we will only implement such requests with respect to the personal information associated with the particular email address that you use to send us your request, and we may need to verify your identity before considering your request. 7. WHAT ABOUT NON-PERSONAL INFORMATION, MOBILE DATA,"COOKIES" AND SOCIAL MEDIA FEATURES? I) NON-PERSONAL INFORMATION. When you visit our Websites, we may automatically collect information or computer-generated data that does not personally identify you ("Non-Personal Information"), such as the website from which you have come to our Websites, your Media Access Control address, your computer type, screen resolution, operating system version and Internet browser, as well as information based on your interaction with the Websites, such as web log information, page views, and IP addresses on an anonymized basis. We have to use your IP address and other Non-Personal Information to deliver the Websites and our Services to you and to help diagnose problems with our server. We may also collect Non-Personal Information such as demographic data, age groups, and your geographic areas, etc. Non-Personal Information also includes personal information that has been aggregated in a manner such that the end-product does not personally identify you or any other user of the Websites, for example, by using personal information to calculate the percentage of our users who have a particular telephone area code or who are female. This technology helps us compile aggregated statistics about our Users and their use of the Websites. We use these statistics to improve the design and content of the Websites and to prepare and deliver our marketing programs. Because Non-Personal Information does not personally identify you, we may use Non-Personal Information for any purpose, including sharing that information with our Group Companies and with other third parties. In some instances, we may combine Non-Personal Information with personal information (such as combining your name with your geographical location). If we do combine any Non-Personal Information with personal information, the combined information will be treated by us as personal information, as long as it is combined, and its use by us will be subject to this Privacy Statement. II) MOBILE DATA. If you access the Websites using a mobile device (e.g. your phone or tablet), we may collect mobile device identifiers such as the device type, IP address and the operating system. We use mobile analytics software to allow us to deliver you the Websites and the Services and better understand the functionality of our Websites and Services. For example, if you are accessing the Ancestry mobile application, this software may record information such as how often you use the application, the events that occur within the application, aggregated usage, performance data, and where the application was downloaded from. We do not link the information we store within the analytics software to any personally identifiable information you submit within the mobile app. Our Websites may also collect other non-personal information from your mobile device, such as your geographic location, with your permission. For example, if you use your mobile device to take a photo through the Ancestry mobile application, we will ask if you wish to include your location. If you agree to this request, we will add your location to the photo. We will also occasionally send you push notifications to provide you information about our services. You may opt-out of these notifications at the device level. IV) SOCIAL MEDIA FEATURES. Our Websites may include social media features, such as the Facebook "Like" button and widgets, such as the "Share this" button or interactive mini-programs that run on our site. These features may collect your IP address, record which page you are visiting on our site, or set a cookie to enable the feature to function properly. Social media features and widgets are either hosted by a third party or hosted directly on our Websites. 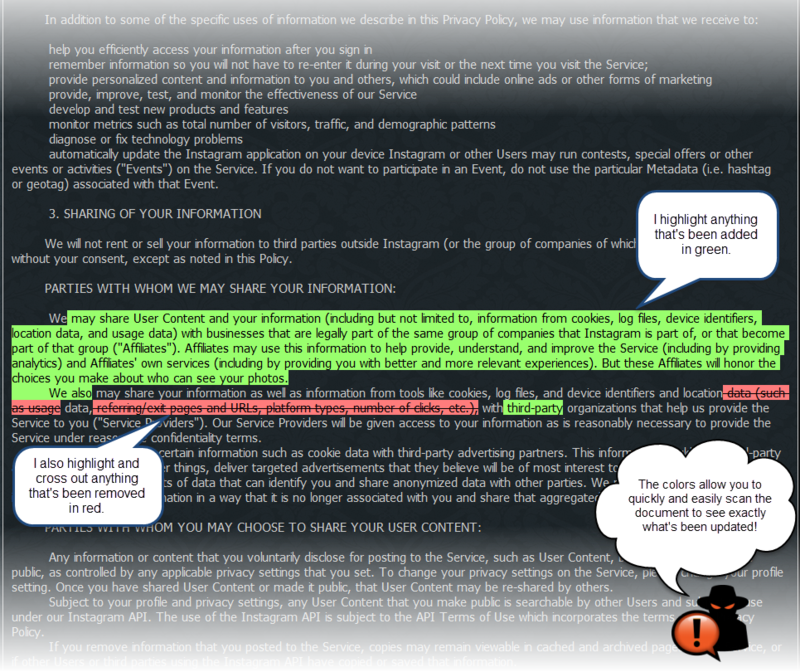 Your interactions with these features are governed by the privacy statement of the company providing it. Ancestry strives to show you relevant advertisements both on our Websites and elsewhere on the Internet. Ancestry uses some third parties to show you Ancestry-related advertisements that are tailored to you based upon your interests or online behaviors. Any such targeted ads placed on our behalf will contain information on or near them that informs you about the third party delivering you the ads and how to opt-out of receiving such ads in the future. If you wish to not have your information used for the purpose of serving you targeted ads from us and our TRUSTe-compliant partners, you may opt-out by clicking here and here (you must do both to opt-out). In addition, if you are a Facebook user and would like to opt out of receiving Facebook ads personalized based on the websites you visit, please click here. Please note that the above links do not opt you out of being served advertising. Because occasionally the Websites may be partially advertiser supported, you may not "turn off" the advertising that appears on the Website pages. You will continue to receive generic ads that may not be as relevant to you. If you are concerned about other interest-based ads you are receiving on other websites, you may want to visit http://www.networkadvertising.org/choices/ or http://www.aboutads.info/choices/ for additional opt-out information. Also, please note that if you delete, block or otherwise restrict cookies, or if you use a different computer or Internet browser, you may need to renew your opt-out choice. We are committed to complying with all applicable laws and regulations governing the collection and use of personal information. From time to time, Ancestry will review its personal information collection, use, and disclosure practices in order to assure that we are complying with our Privacy Statement and all applicable laws and regulations. If we decide to change our Privacy Statement, we will issue an updated version of this Statement with an updated date legend and/or notify you via email, via the Websites or mobile applications or by other appropriate means prior to the change becoming effective if it is a significant change. You should review this Privacy Statement regularly to ensure you are familiar with any changes to it. If you do not consent to any changes to our Privacy Statement and as a result you would like us not to use or hold your information in accordance with the revised terms, you may notify us here so we can discontinue your account. If you have any questions about this Privacy Statement, Ancestry's privacy practices, or your dealings with the Websites or mobile applications or mobile Websites, or wish to request access to and receive information about the personal information we maintain about you (note please that the right to access personal information may be limited in some circumstances), update and correct inaccuracies in your personal information, have the information blocked or deleted, as appropriate, or oppose (in case of legitimate reasons) the processing carried out with respect to your personal information, you can contact us via the information below. We will respond to all access requests within 30 days.